Even when holding events that are sure to draw a large crowd, it never hurts to offer an incentive to your loyal fans. Why not try purchasing contest insurance? Pro Tennis tournaments and even amateur events sell out but if you are looking to gain even more popularity and interest in your event why not offer a grand prize opportunity for a lucky spectator! 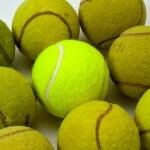 Several companies offer two different on-court tennis contest insurance. You can either offer the Target Serve Contest Insurance or the Return Serve Contest Insurance. All you need to let us know when you are ready to secure coverage is: the number of contestants you are planning to select, the contest you wish to purchase, and the value of the grand prize you would like to advertise. The Target Serve Contest Insurance will give each contestant a chance to serve the ball at a pre-specified sized template. If they can successfully serve the ball into the target hole they win the grand prize! For the Return Serve Contest, each participant will have to return a serve, which will be served from a regulation ball machine, into a target box. If any of the contestants are lucky enough to get the ball into the box they take home the grand prize. Both of these contests are sure to test your fans’ tennis skills and accuracy not to mention they are sure to create quite the buzz among the tournament onlookers!